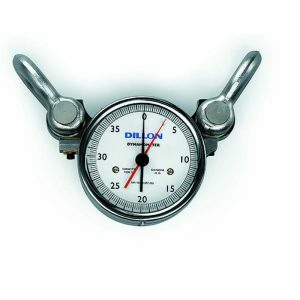 Dillon Digital Tension Meter Quickcheck - C.S.C. 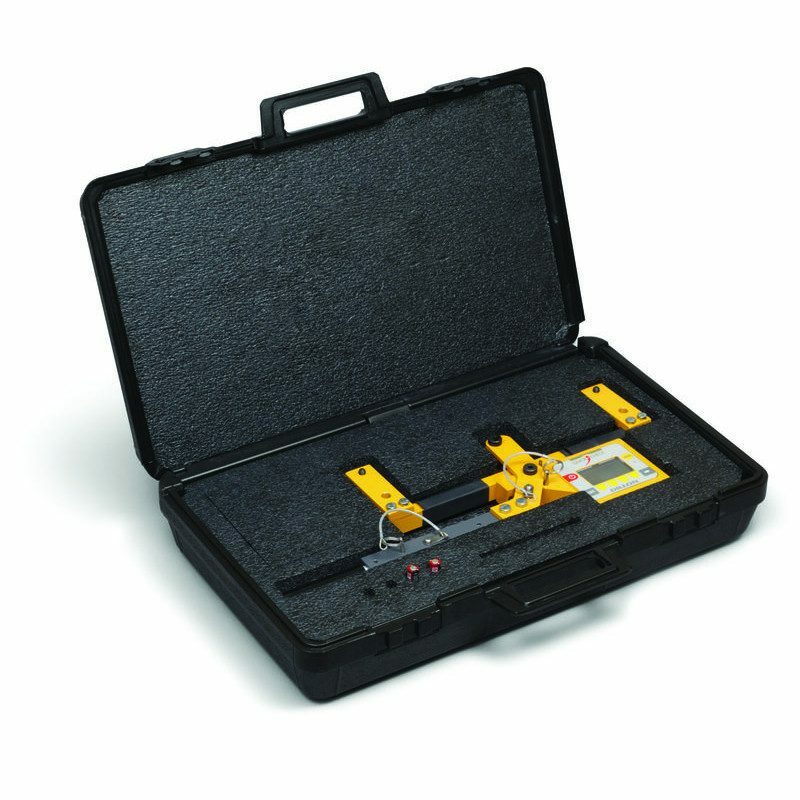 Force Measurement, Inc.
Have a question about the Dillon Digital Tension Meter Quickcheck? 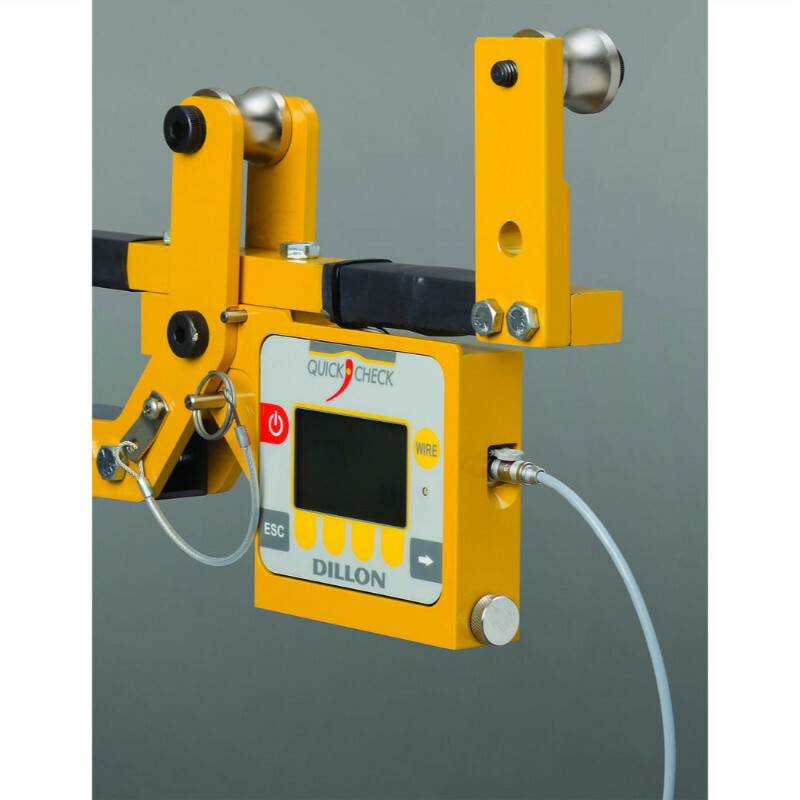 The Dillon Quick-Check tensionmeter is the premier innovation in the cable tensioning industry. Nothing comes close to the absolute simplicity of design and accuracy. It is ideal for cable guardrails, guy lines and overhead wires. 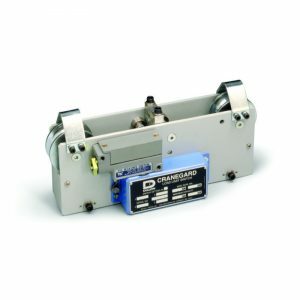 The digital load cell is rugged, highly repeatable and accurate. 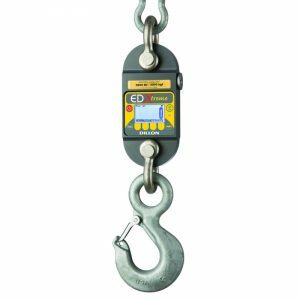 The Dillon Quick-Check tensionmeter can be placed on a cable, measure its tension, and removed in under five seconds. There are no complex lookup tables or conversion charts – saving time and money. The operator can quickly select from 20 pre-calibrated wire sizes and types stored in Quick-Check’s memory. 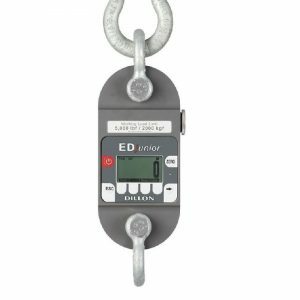 The Quick-Check tensioning mode graphically displays the current and target tension control limits for extremely quick setting of line tension. Even the infrequent battery changes are quick. 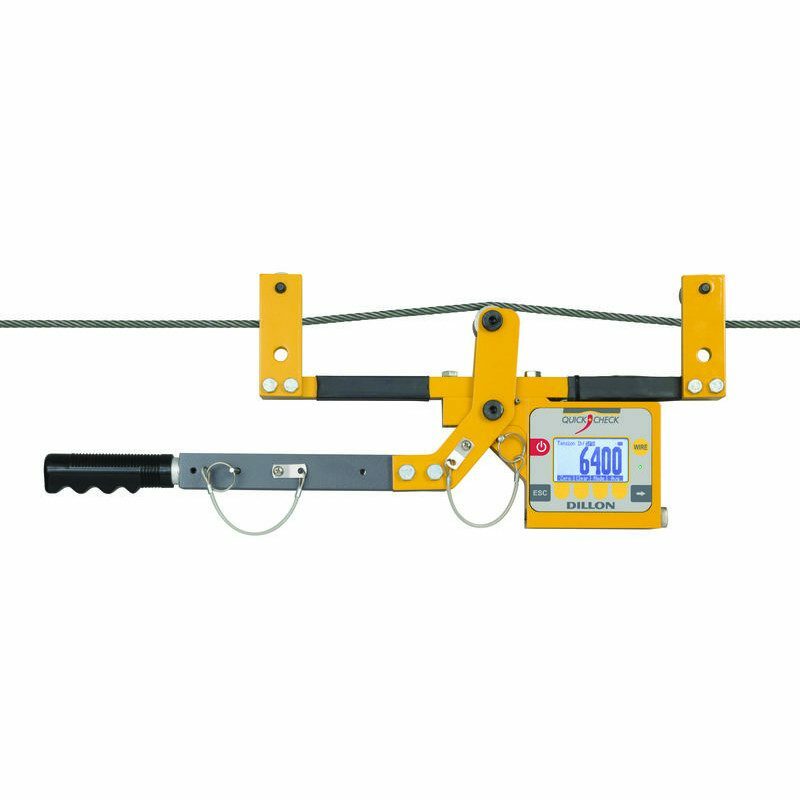 The Quick-Check tensionmeter can be employed in many industries requiring proper and provable tensioning. Typical applications include cell towers, stack guy wires, pre-tensioned cable barriers, bridges, elevators, winch rope, overhead electric transit wires, fall arrest systems, aircraft arresting cables and utilities as well as many more. Dot-graphic LCD display supports full text and 1 inch high digits. Each set accommodates rated wire size and ½” smaller. 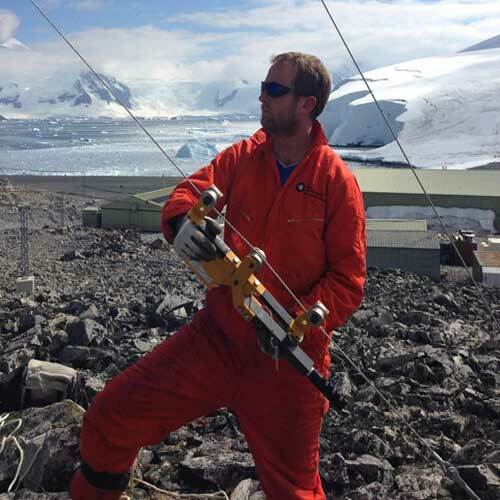 Multiple sheave sets may be used. Calibrate each wire diameter needed with the most appropriate sheaves. If two wire types are used of the same diameter (e.g. ½” 1×7 and ½” 6×19), calibrate each type independently if accuracy is critical.